When Wolftooth Components contacted me some months ago and said “they had something that I needed to use”, they were basing that on an image I had posted on the site. It was the Specialized Fuse Plus hardtail. I was intrigued as they were just working on the prototypes and they were kind of excited for they said there was nothing else like this on the market. Now that statement about some product being truly unique and one of a kind might mean it is something amazingly clever and insightful that we all need but never realized it. 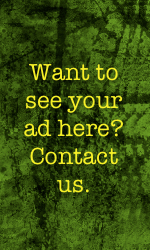 It could be a product no one is asking for and that is why it does not exist. You can see how the bottom side of the Valais 25 has a relief for the seal section of the dropper post. · Shifts cargo to the bike: Small- and mid-sized saddle packs are ideal places to securely store tubes, mini tools, and CO2 cartridges, ensuring that they’re always on hand when needed while freeing up top tube and handlebar bags for more regularly-accessed items. 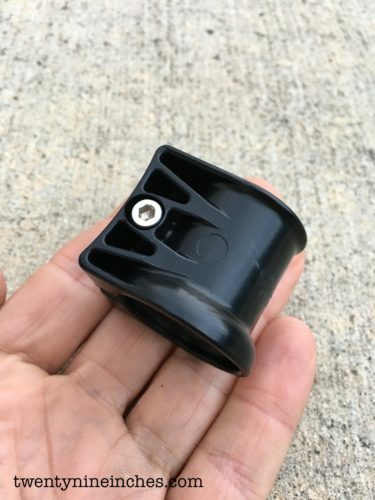 · Protects seatpost: Inexpensive insurance, the Valais 25 protects dropper post stanchions from the wear that occurs at the intersection of saddle bag, seatpost, and wheel-flung grit. 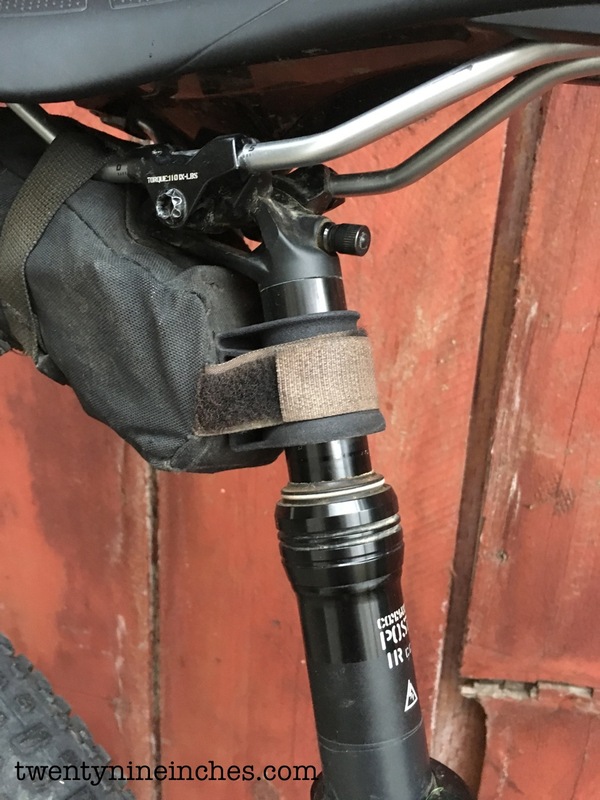 · Emergency Crutch: While dropper posts continue to improve, locking mechanism failure still occurs- often far from the trailhead. The Valais 25 can be used to keep posts extended, allowing the rider to comfortably pedal out of the backcountry. · Raceday Travel Limiter: When seven inches is more than terrain calls for, the Valais 25 can be used to limit dropper travel to suit. Material – the Valais is injection molded from strong, resilient, and non-marring DuPont Delrin thermoplastic, allowing for easy snap-on installation and full strength all the way down to -20°F/-29°C. At full compression the Valais’ deep skirt contacts the seal collar first and will not contact the seal lip (protecting delicate seals from damage). Let all the air out of your shock, drop the post and compress the suspenson all the way. Assure there is adequate tire to saddle bag clearance. If there is tire clearance, raise the dropper, and lower the Valais so there is adequate tire to saddle bag clearance. I honestly had never given a second though to my tool bag strap rubbing on my dropper post. It does make sense though, especially in wetter and muddier climates. 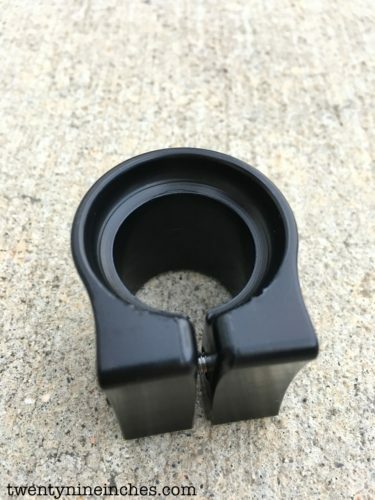 I cannot say that over the years I have ever seen any sign of wear in the surface treatment of any seat post I have used with a seat bag, but maybe I was not paying attention to it. But installing the little Wolftooth Components Valais 25 onto my dropper post was dead easy and took hardly any time at all, weighed next to nothing, and seemed like a “why not?” kind of deal. The strap of my seat bag was nestling right over the Valais 25…(note the 25 as in 25mm tall. 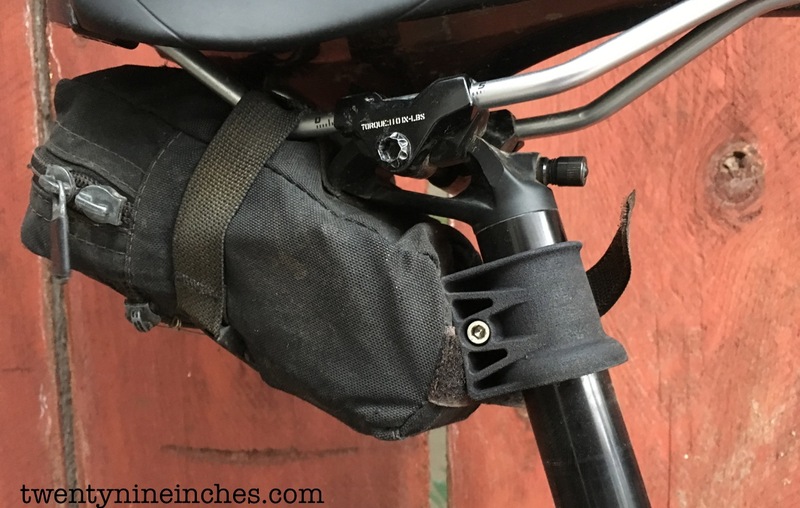 Might there be a forthcoming Valais in taller sizes for bikepacking seat bags with a wider strap?). And there it sat, just doing it’s job. Note that this is a prototype version I am still using and has a different finish than the final product shown in the detail images. It does limit the range of your dropper post though, so although I seldom if ever need the lowest ‘notch’ of my Specialized Control Post, the Wolftooth Components Valais 25 prevents me from actually getting the post that low anyway. As low as she goes. I cannot get the next ‘notch’ in the post to engange fully. 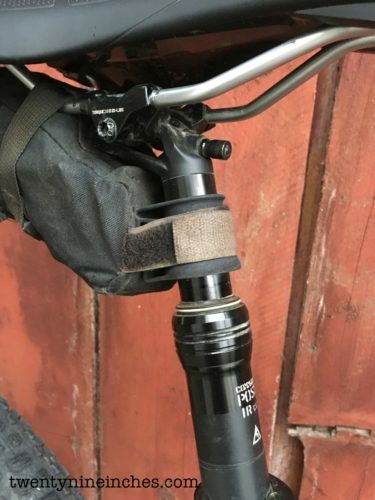 An ‘infinitely’ variable post like the Rockshox dropper post would go a bit lower still. 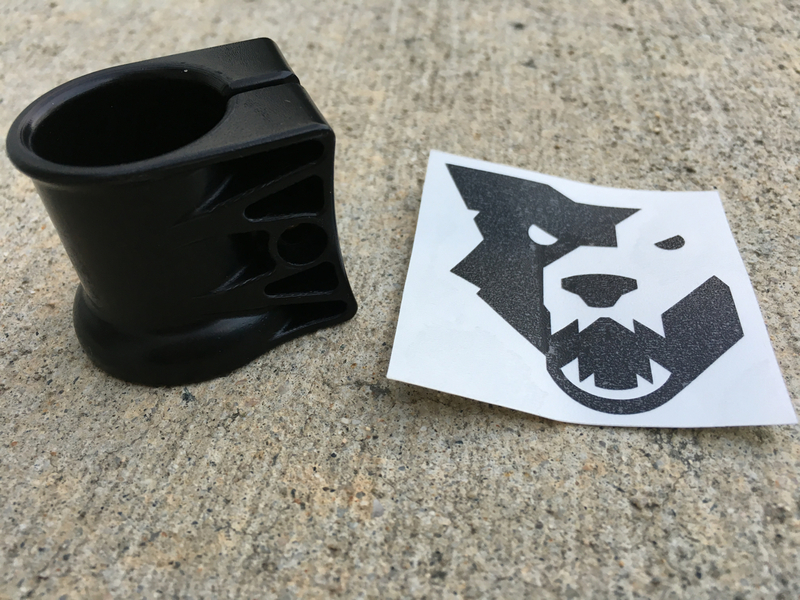 The Wolftooth Components Valais 25 is also claimed to be an answer to a dropper post that has failed on trail and will not stay up into the proper position. I lowered the Wolftooth Components Valais 25 to the bottom most poisition with the dropper post fully extended and tightened it down. Then I rode around on it while releasing the dropper post to see if it would hold it in place. Yes it did. That one fact might make it worthwhile all by itself. Ever have a dropper post fail on a ride? Of course you have. So is this the thing we have all been waiting for? It is unique. In my garage there are two bikes in there with droppers. One has the SWAT frame storage so all the stuff I would be carrying in the seat bag is in the SWAT locker. The Wolftooth Components Valais 25 is mounted on the other bike which always has a seat bag on it. So I am 50/50 as to using one. A lot of guys I ride with do not use a seat bag at all, either going with a hydration pack for parts storage or going nekkid for short rides. And I am not sure how many folks will bristle at the thought of losing an inch of dropper post range. For me that is not an issue, but for JeffJ, who strives to own a 150mm dropper post, then he would not like it at all. So you likely know who you are in regards to the Wolftooth Components Valais 25. It does what it says and I plan on keeping it on the Fuse as long as I am running a dropper post on it.